Sometimes on a calm evening as the sun goes down I will sit and ponder on how the place I live might have once been long ago compared to how it is now. I think about how we travel around so easily in our cars, never thinking too much about how we pass over miles of land while just popping out to a local shop or visiting a place we like. How different it would have been say 600 years ago, or even 2000 or 5000 - and yet how similar and familiar some aspects would be. I can only imagine sometimes, how often long ago, someone would have sat exactly where I now sit and look out over the Devon hills and watch the sun set. Perhaps they wondered about who might sit where they did some distant day in the far future and what they would think. I can imagine what Devon might have been like long ago in part by the shape it is today and the topography of the landscape. The same rivers carving out the same hills year after year, for thousands of years. The sound of the water in the rivers, and that of the sea shaping the coastlines. The soft summer breeze that cools the air after a long hot day, the howling of a gale whistling through the cracks in the rocks on a high Tor. But there would be no loud noise as we know it today - the endless toil of car engines with horns hooting, motorbikes, trains, aircraft passing overhead. Yet there would have been more familiar human cries and cheers, laughter, the sound of horses, cows and sheep, and of course birds and other wildlife. I imagine a way to think of it might be to compare this land with that of a wilderness in our world today, although there are few of them left but thankfully some. Let's imagine Devon as it might have been a few thousand years ago when it was less populated. It was much the same as it is today in some ways and as I said before the same rivers were busy shaping the deep valleys. There would have been many more trees of course and meadows full of flowers. Wild animals would roam too and fro just as they do today in those places on earth. People and animals have basic needs such as food and water and shelter from harsh climates. There might have been special places where animals congregated with predators watching over them. Indeed we know that Devon has a rich history of such from the evidence found in old caves in the region which have revealed the bones of Lions, Mammoths, Woolly Rhino and Hyaena to name a few. These creatures and the passing through of hunter-gatherers would have been the first to have created pathways through Devon's landscape and it is from those early routes that perhaps some of the layout of Devon's present roads would have come about. In such a primitive landscape there would have been some special features that stood out. To early people living in the region, places would have been familiar to their every day life like the sights and sounds of nature around them, the cliffs, the rivers, the sea, and the trees. There would have been also places of joy and fear, of respect, places of rejection, places that people related to emotionally just as we do today. There would have been caves leading into the bowels of the earth, springs where essential water came from the earth, Tors and other rock clusters that stood out above the tree tops almost as God-like beings. There were great cliff faces and the forces of nature that were so familiar and yet not understood as we know them today. And of course those awesome aspects - the sun and the moon and the stars. I wonder if people walking the sandy shores of a beach looked out to sea, knowing that the horizon was beyond their reach but they could touch its edges, perhaps feeling that the farthest view of the sea was itself actually touching the stars? Maybe they looked to the sky and saw the rain falling, then, as it came from the ground as springs it seemed somehow sacred, giving life, then passing down the long rivers that lead us ever further down the valley's to the sea at the farewell of this journey, then beyond and out to the horizon where it meets the sky once again. There would be night and day, cold and warm. At night the twinkling stars would pass across the sky like a procession that begins in one place and ends in another, sometimes heralding the appearance of the moon, and all would complete their journey that night before the sun came once again. In an effort to try and understand the very basic ancient routes in the Westcountry I used a topographic map of England and drew on some lines. The above map is what I came up with. It would seem that Dorchester, Salisbury and Bath were the main origins or routes from other parts of England from which passage to the South West came. 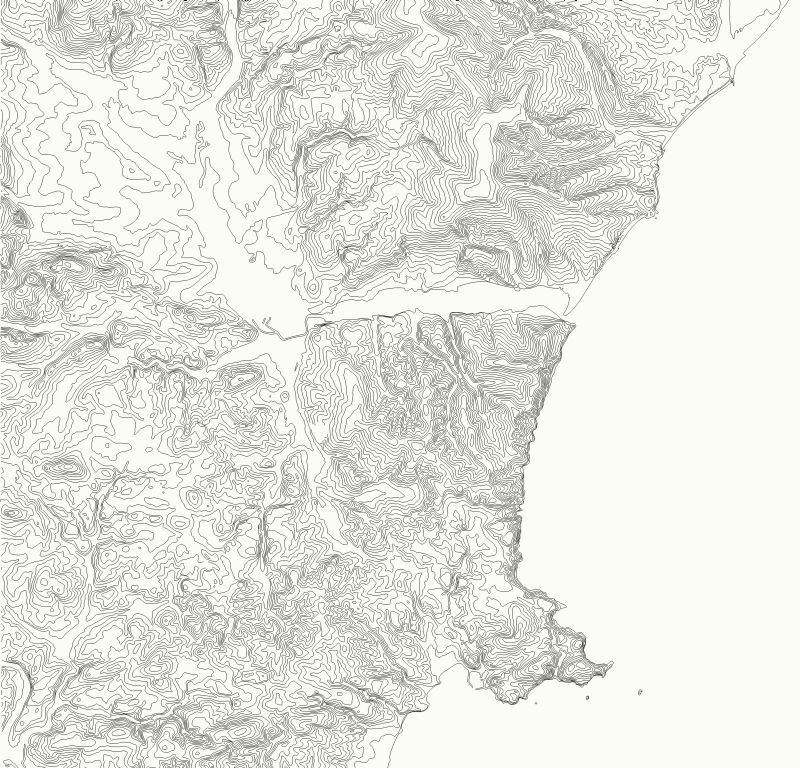 In my map I have not taken into account sea routes and I have not used known Roman roads - all I wanted to do was understand the topography and see what might come to mind. Obviously also there would have been various tribal settlements which would have influenced routes and I have not taken these into account either. 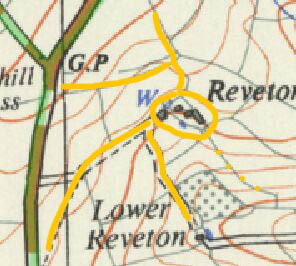 From my basic findings I have concluded initially that there was a main spine route that ran the length of Cornwall (much as it does today) and that it followed a course around the north of Dartmoor past Okehampton and headed towards Wellington. Another branch crossed north Devon skirting the south of Exmoor. 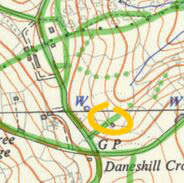 Another banch would have passed through Exeter then found a way around the south of Dartmoor to Ivybridge. 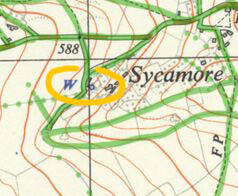 Somewhere in the region of Wellington routes would have split and gone to Dorchester, Salisbury and Bath. The map above shows what I think would have been the skeletal routes in bold red which are the really basic routes and in smaller red just a few other sugested routes. The map below is another I did which takes modern topographical information and on it marked some basic large red dots which I considered to be important points in the landscape. Then I put smaller red dots at places between them which I also thought would be important. And finally lines that join them. My idea was to see what might occur at these locations when I studied the more detailed maps and I was pleased that in many cases there were indeed either important towns or Roman and later military sites there. 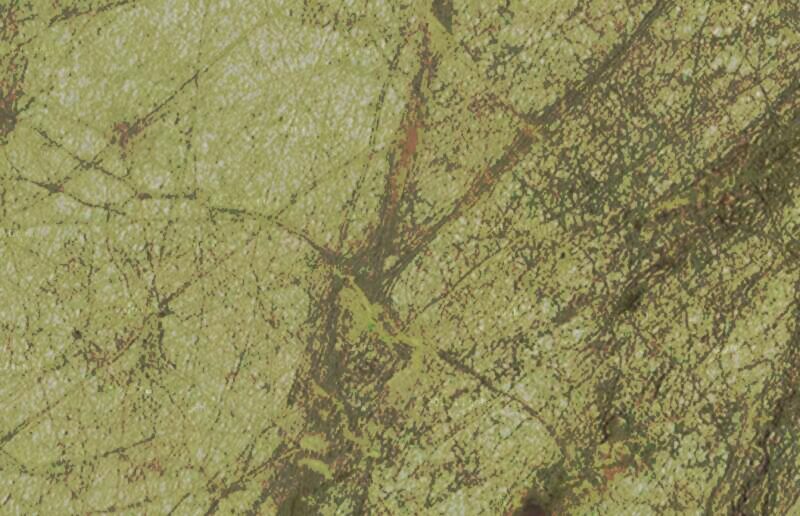 The image above is a screen-shot of a satellite image and shows animal tracks and human tracks and the typical patterns they form over an open landscape on Dartmoor just south of Hexworthy. 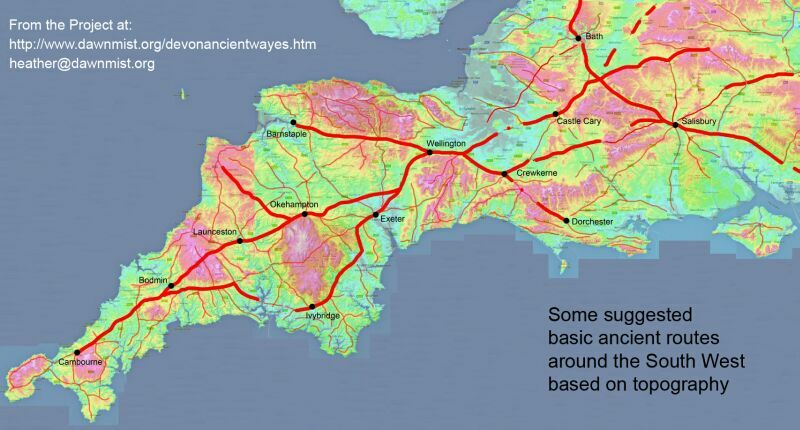 The ancient routes across Devon would have been formed as previously mentioned by animals and human activity. Just as today when we go for a walk across a hillside we will often choose the easiest way, the way with a view of where we are going, the way that leads to something in the landscape that we are curious about, or have been told is there. As we travel up a hill we might take the easiest route up a valley rather than straight up the steepest side of the hill to get to the top. When coming down from a high point we might take the quickest way to where we are going, to where we can see or to a place we know, but not necessarily the steepest path in order to avoid danger. Sometimes we might have no choice and have to get from A to B in the best way we can because there is no other way or because the alternative is a much longer journey. In another mind one might simply travel across the landscape in a straight line from A-B once that route is set out and marked. So we can see how these pathways would have been a compromise based on getting from one place to another, the juggling of hill top ridges and gentle valleys. These paths were dictated in most part by the topography of the land and how early people and animals found it best to move across it. But we also have to remember that at times in ancient history that much of the land was covered with trees so getting a view of what was much further ahead might have been tricky at times! Then you would have been relying on high places to reveal a view or on previous knowledge and a well trodden path. Not to forget also that people could only really travel back then during daylight or a well moonlit night. Think about how in remote jungles or deserts of the world today how people rely on guides from tribes to advise them of the best way. Perhaps people that were not settled in one place would have travelled these same paths for many centuries and know them intimately through their own yearly experience and also because of knowledge passed down from their ancestors. There would have been special places along those ways where people stopped, perhaps even sacred places. Another thing to keep in mind was that during the seasons some of the paths would have been almost impossible to take due to flooding or being slippery. Another thing to keep in mind is that over the many centuries climate change has taken place and so vegetation would have changed accordingly, as also did the ability of people to endure areas where they had settled. Another thing to consider is sea-level changes too. Finally when people began to settle down in the region and began to define a boundary around their local area the older knowledge of more distant places and paths might have been lost over a few generations except for those that travelled beyond the limit of settlement. Now I am no archaeologist specializing in this sort of topic so I am approaching this with a clean mind and perhaps as I am writing down my pondering thoughts other ideas might come. 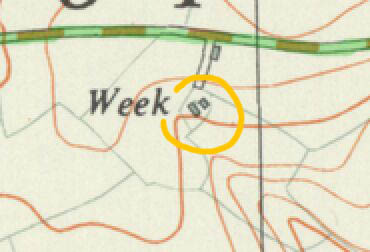 One thing I have noticed on many old maps is the names of roads, some being named after places or where they are leading to. Others are named after people or what endurance was needed to travel along it. Several lanes in Devon were called "Scratchface Lane" - needless to say I imagine it was hard work taming the brambles along miles of lanes back then! I would think that in groups some people would have stayed close to the settlements or travelled only as far as they dare in a day. While others would have gone much further, perhaps even living away for a few days in order to find out what was beyond that hill, then the next hill and the next. They would have drawn simple maps maybe or passed the knowledge on to others in the settlement. Then there were other groups settled in the region, some that got along together and some that did not. There would have been gatherings of groups in special places, perhaps to talk and dance and share knowledge and wealth. There would have been trade going on. I wonder how far an average group who had settled would have travelled around the area they lived. Would they have felt a need to take control of the land they lived in rather than just take what they needed from the plentiful hand of nature. Would they have felt a need to have territory and to mark it with stones or logs so that others would know they were entering land that did not belong to them when they passed these markers? We do know so well human nature is never always fair. People do not always get along and when this happens it can cause long-term division, the concentration of effort into boundaries and a loss of respect for others which can lead to a crisis or war. Also there would have been people coming from other far away places intending to take over their homeland. In times of War it would have been important to know your area well. You would have needed to know where to make a stand, how to protect your people from the attacker, who your neighbours were and how well you got on with them. Would there be a route to get you safely away from the danger if things got too bad? All this would have needed prior knowledge as well as good planning. In Devon the landscape varies considerably and there was plenty of scope for fast ways to move from one place to another when needed. A number of areas such as Exmoor, Dartmoor and the South Hams display a network of hills with deeps valleys between them. One wishing to travel far and fast would likely have taken the higher ridge paths which in some cases lead for many miles across great lengths of Devon. These might have been an advantage to those on horseback needing to get ahead of someone else or for getting news and information quickly from place to place. There were of course many shorter valley routes that developed which had more ups and downs as well as extra rivers or estuaries to cross but could be shorter if you had knowledge of the way. Such a combination of finer ancient routes were also valuable for accessing land that was to be more formally settled as well as for trade over shorter distances. There were also many sea ports around the coast which allowed access to difficult locations or faster trade providing conditions allowed. By the time the Roman's arrived in the area it seems the entire South West region which included what is now Cornwall and Devon and parts to the east was the dominion of a collective of tribes known as the Dumnonii. They were already involved in trade across the channel with Europe as well as having been involved in wars, perhaps locally, which we know from the large Hill Forts they built. There would have been a fair amount of structure in Devon whereby people knew the region fairly well and how to get about it. But there must still have been great expanses that were still uncertain and little known. It seems that by the time the Saxons arrived and began to colonize the area that many key locations and resources were probably already understood. I would imagine the Saxons took advantage of some of this and gradually took a much firmer hold as time went on. New ways replaced older ones and the structure of paths across Devon would have evolved to cater for the growing population and all that this entailed. Some older routes might have been lost but I expect the majority of the main framework of routes was kept as well as many more being added to the pattern. From the Saxon period and through to the Tudor times I can imagine many more changes in the landscape and the pathways due to population growth, the need to extend farms into unspoilt land, the need for resources such as wood and what ever else the land could provide. Also the business of land ownership and those who served under this system. Since pre-Roman times we know that metals were found in the region such as tin and copper and lead which were mined and traded oversea. Also the natural geology has provided all kinds of stones suitable for building such as granite, limestone, chert, sandstone, volcanic stone and slate. Another factor that would have played a big part in shaping up the layout of the land and the routes through it would have been land ownership that later passed to Kings, Baron's and the Church. This would have affected the rights of ordinary people to travel along certain paths or even to be allowed on certain land and would account for some ancient routes changing, either going out of use, changing their use etc - perhaps even becoming more important. Major trade routes from village to town would have lent themselves from long ago ideal for pack-horses. There might have been long trains of horses loaded up with goods travelling in one direction while another set would pass along another nearby route, perhaps all going in the same direction or to redistribute their cargo at certain stops along the way as they went. Some of these much worn routes form what we term "Hollow Ways" - a well trodden route that had literally eroded the very ground and bedrock in some cases into a trench that passed along the hills and valleys of Devon. In order to maintain them loose material would have been dug up or pushed aside and piled up on each side of the lane making it appear even deeper than it actually was. Some of these lanes are very narrow and could only have allowed the passing of one or two horses whereas others appear to meander more and have wider spaces where large crowds of sheep or cows could mill around. Some hollow ways are still in use today in Devon, having still been important enough to keep them in use even after modern road surfaces and motor vehicles were invented. Some have been lost due to road widening but we can still see plenty of clues as to their original routes if we know how to puzzle them out from the tangle of modern roads and slightly older turnpike roads of the last few centuries - not to mention an understanding of how perhaps it all began. 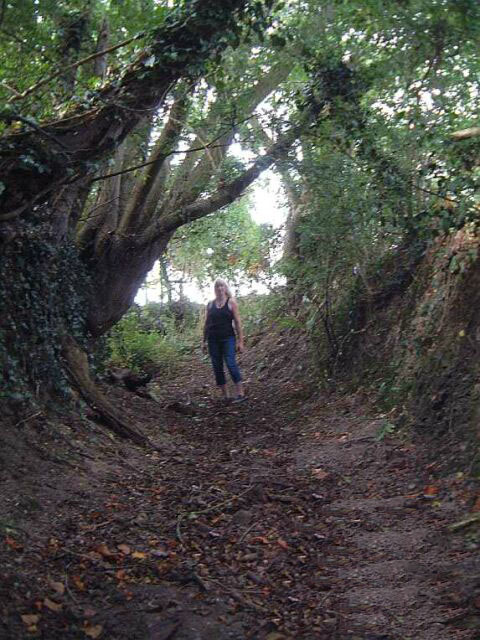 These lost routes are a fascinating insight into how Devon life grew, some revealing villages that have gone missing from our history books, and they can indicate priority of places in a past setting by showing us where they once went and why. They might even reveal a few surprises in the future as we rediscover them. The purpose of my short study here is to grasp an understanding of the ancient framework that makes up my own county, Devon. It is said that Devon has more roads than any other County in England! They were put there by hard working people for a good reason, even if the majority of them are mere fragments of what they once were. 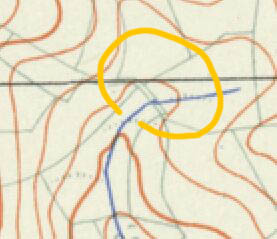 At first I scanned modern o/s maps of the area I wanted to study then traced over the contours but as you can imagine it was exceedingly time consuming. What I needed was a map of the whole of Devon but which showed only the contours and the coastline. 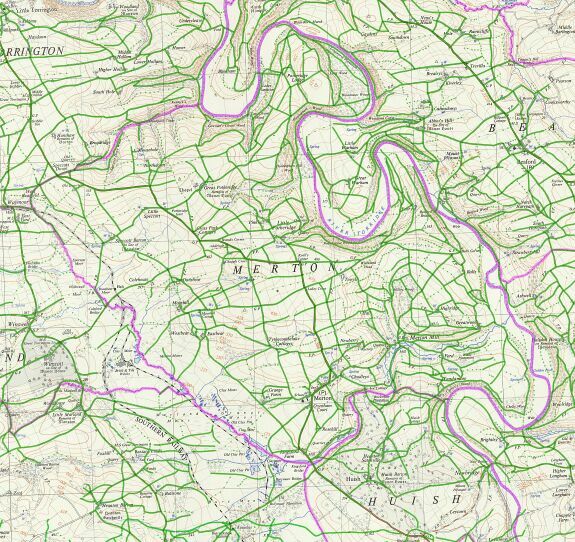 Thankfully recent technology and the Ordnance Survey were able to help by supplying me with "Opendata" which allowed me to then formulate the very map I was always needing to work from - a clean canvas upon which I could mark my own ideas and not be influenced by what is actually there. The map above was my first basic layout which shows the entire landscape of Devon as a contour only map upon which I added a number of very basic routes that I felt might have been used in ancient times to get around Devon. Initially I thought it would work well to study smaller areas but as I did this I realised I needed to zoom out more and more in order to see the big picture. 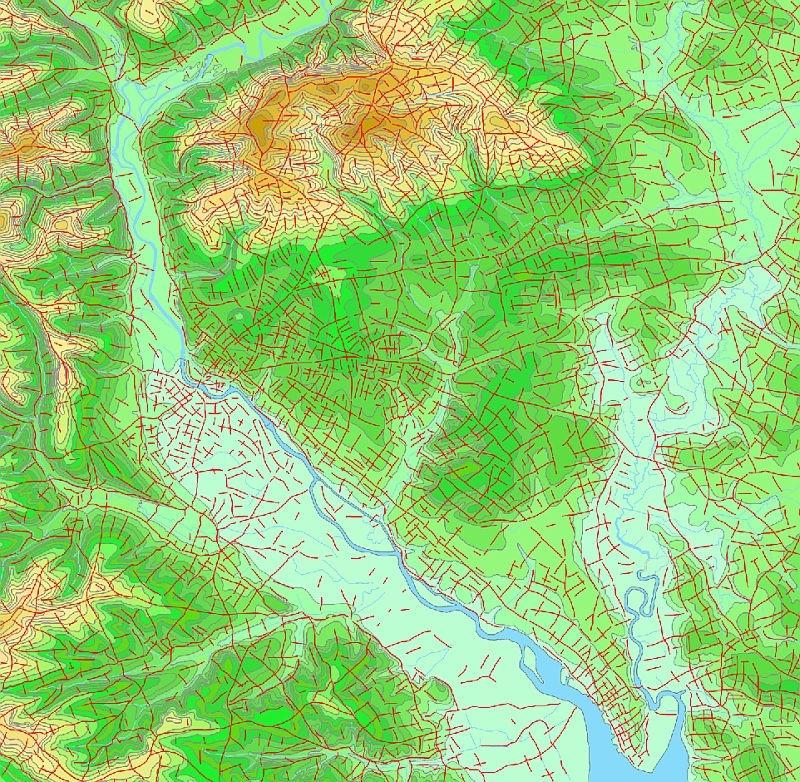 This map above shows purely contour information for the area covering the Bovey Basin, Newton Abbot, Teign Estuary and Torquay. 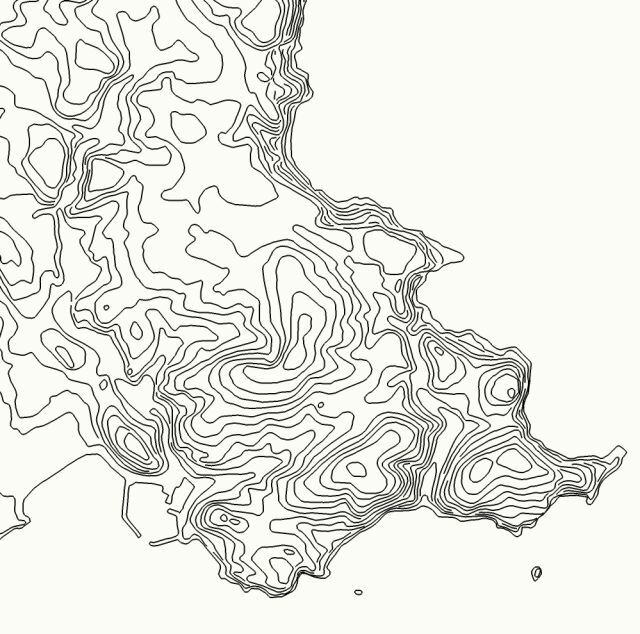 I had to take dozens of small contour maps like this and stitch them all together to get a complete map of the whole of Devon! 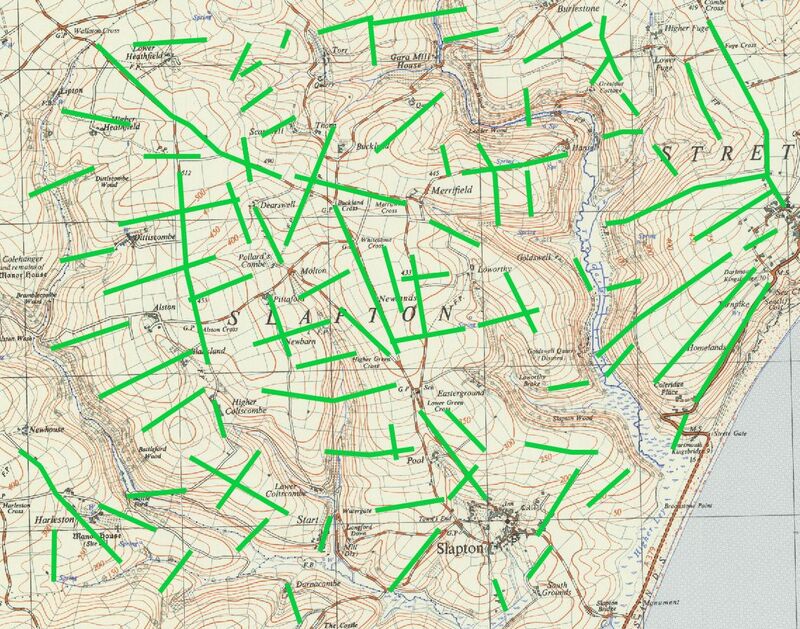 Another part of the overall study of Devon routes I chose to do was to mark up the contour maps to show three main systems which were: Ridge routes, Valley routes and cross-link routes. This was just to form a simple framework based on the natural topography of the County. 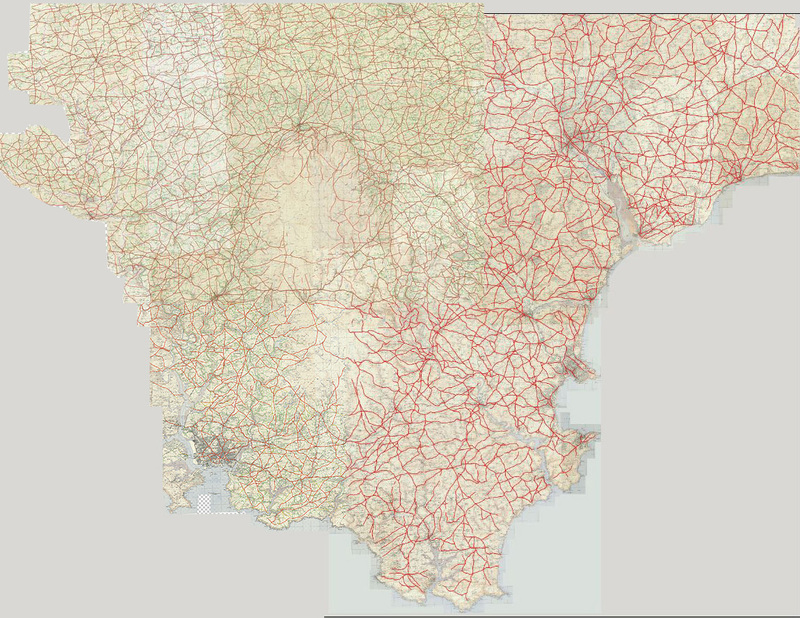 To see maps in greater detail please click the link below. The problem I then had with this was that while in many instances I could identify ridge top and valley routes I began to see that this method would not work quite so well as I had first thought! This would be especially the case where terrain was much flatter and it was not so easy to determine where routes would have gone. 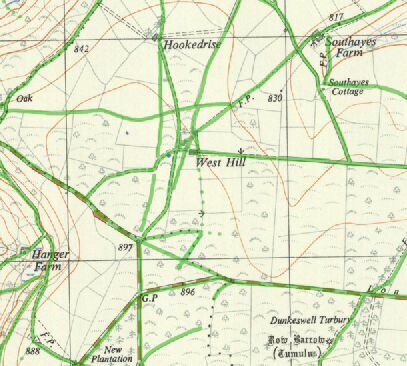 So I then decided to enbark on another branch of this project by stitching together all the Historical O/S Maps 1:25,000 series which would show contours as well as actual existing routes and fields as well. From then I could begin to identify ancient routes more precisely. 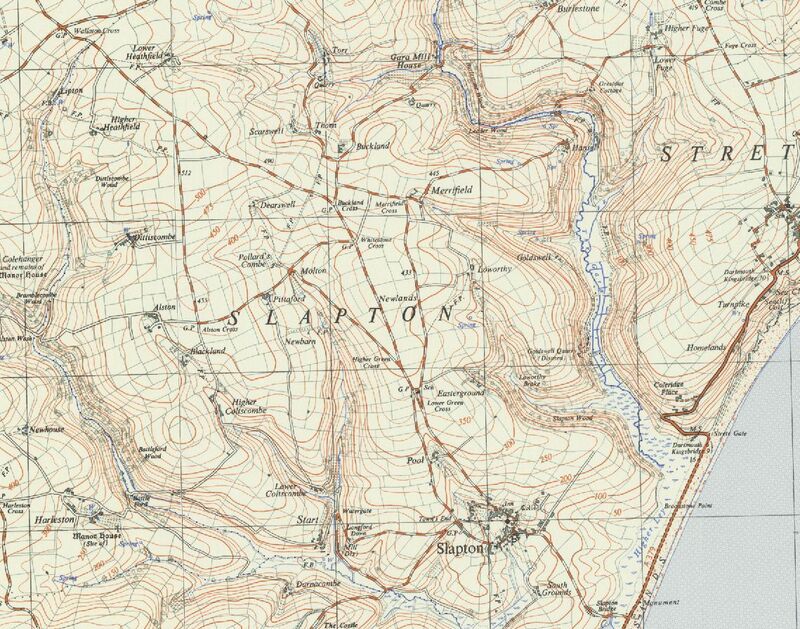 Having first used maps containing just the contour information for Devon I then decided to move on to using Historical O/S Maps 1:25,000 series that were available online. 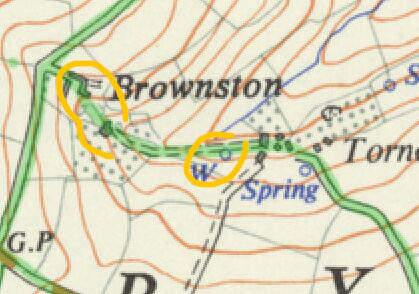 These maps were very helpful in that the contours are clearly shown and the other features are all marked on them in a simple way that was easy to see, not being cluttered with too many colours or fancy shading and because the maps are mainly pre-WW2 the modern roads and features are not shown. 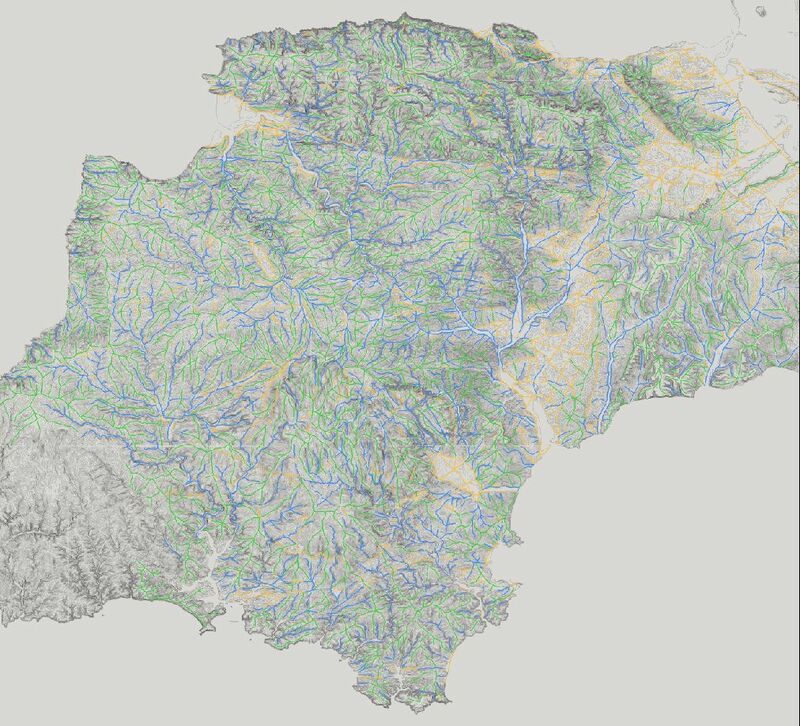 I used these maps and stitched them together to form much larger regions of Devon onto which I could then apply the previous knowledge I had gained from the simpler contour maps. This proved to be very useful because although the roads were shown on them already I could actually see in my minds eye certain patterns that had arisen because of the topography. I will begin to describe my findings below which I hope will be helpful to readers. In coming months I will be adding more of my findings to this web page so do come back again and see what I have discovered! 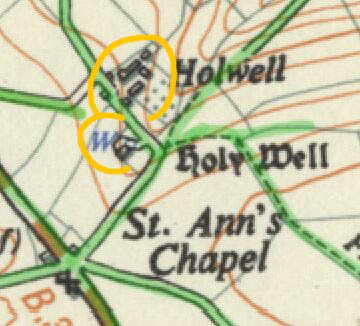 The map below is an example showing the Parish of Merton in North West Devon where I have marked on in green a network of routes. 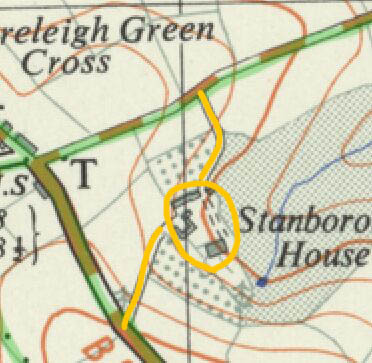 Dotted lines show probable routes as well as the certain one's that I have marked as solid green lines. NOTE: I am now in a position to supply a similar map to local historians for any Parish in Devon. There are a few maps which I have not yet completed but I anticipate that during 2015 I will have all completed. If you have an interest in your local history then you might find a map of your Parish of help to get you started or to see if your own studies are comparible with mine. Just write to me at the e-mail address supplied at the top of this page. Having gone over all the maps of Devon one by one I drew in the finer details of every possible ancient track no matter how trivial it seemed. I used Green lines for this as in the map of Merton above. This took many weeks to do! Having done this I then moved up to an Orange colour for more major routes. Then finally I did the really basic important routes in Red. 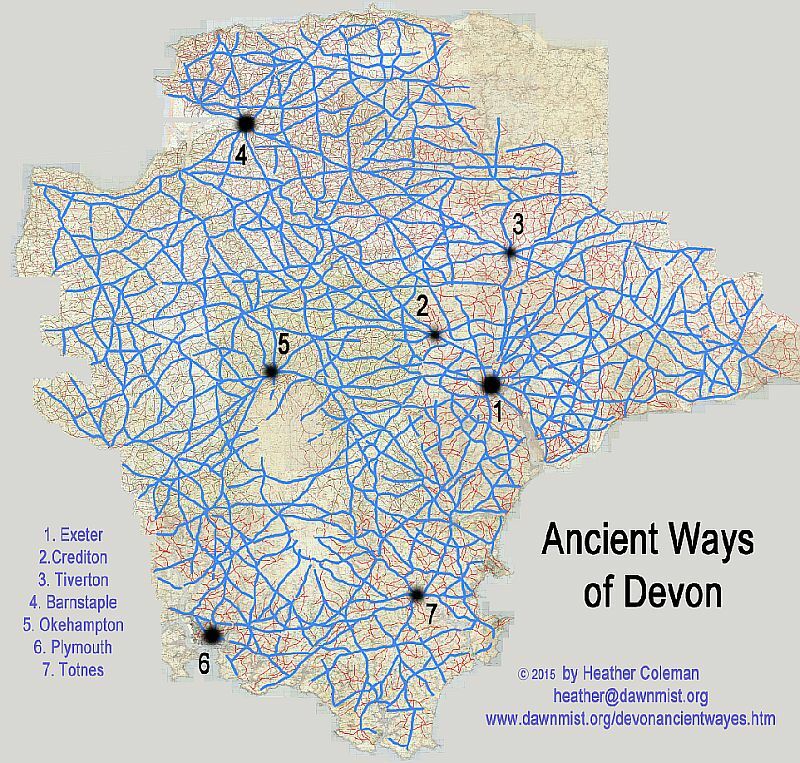 The resulting map below shows what I now believe to be the very basic routes used in ancient times to get around Devon. To see maps in greater detail please click the link below. Update April 2015. Now I have completed the mapping of the lanes in Devon and have put together this map which shows all the ones that really stand out - the "bare bones" of ancient passage around Devon. This map is the result of more than six months work! You can see clearly the main routes that come in from the East then pass through the centre of Devon and on to Cornwall. Other routes wrap around Dartmoor while some pass across it. Of interest in particular is a route that begins at Barnstaple and runs in a fairly straight line all the way to Tiverton then continues on to Charmouth. Perhaps this was the way people crossed Devon to get from Ireland and South Wales to France? Other routes head from Exeter to Crediton then to Bideford. From there a route goes to Hartland which again is a likely early landing place on the coast. 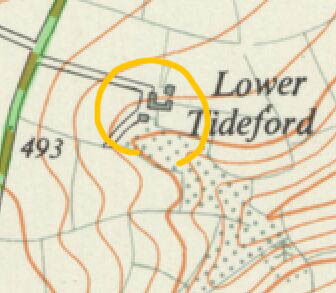 Continuing with my studies of these maps I was able to conclude that most of the roads and ancient lost lanes of Devon do appear in most parts to follow certain patterns which I will begin to reveal below. In particular these patterns are naturally more obvious on the hilly terrain which lends itself to repetitious events in settlement and movement. On the lower landscape where the terrain is flatter some patterns are revealed but often almost anything can happen which is fairly obvious really. 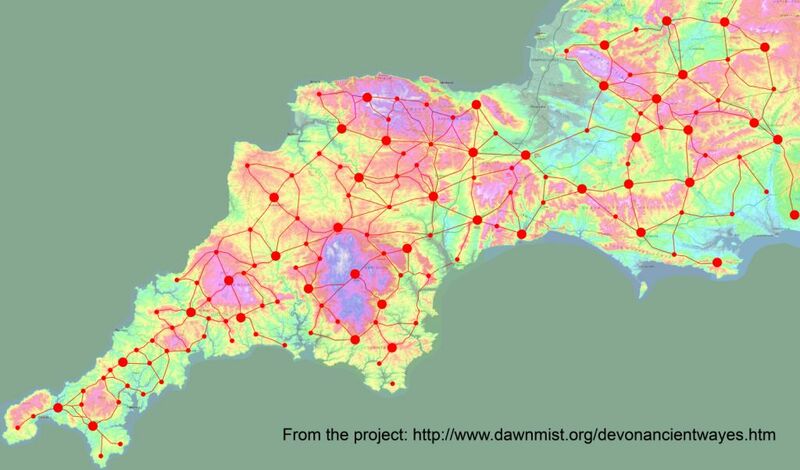 One important discovery I have made is that there were far more routes than we could almost imagine - even now with Devon reputed to have more roads than any other County in England what we see is only a fraction of what was once used in past times. Almost every cluster of fields contains a whole series of micro-paths running across it which in fact define in a lot of cases the layout of the field systems themselves. You see the same patterns forming again and again all over the place. This is fairly typical all over the region where you get any high hill ridgeway. 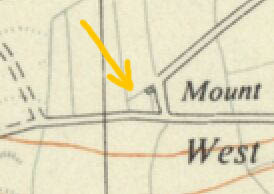 The example shown here is just west of Exeter near Whitestone. 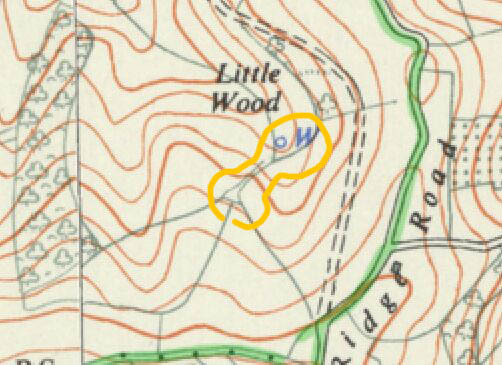 The main route follows the ridge top, meandering its way along, sometimes skirting around the higher knolls and then splits off in a series of triangular patterns which criss-cross at junctions. I would imagine these have been in existance since prehistoric times as there are often many prehistoric features such as Cairns, Camps and Tumuli along these routes. They would have served as ways to drive herds of animals for long distances as well as a fast means of getting from one place to another. On Exmoor for example some of these routes run the whole length of the land from the coast at the west end for tens of miles inland towards Minehead in Somerset. In the South-Hams they run all the way from the southern tip of Dartmoor heading south to the coast at Bigbury. 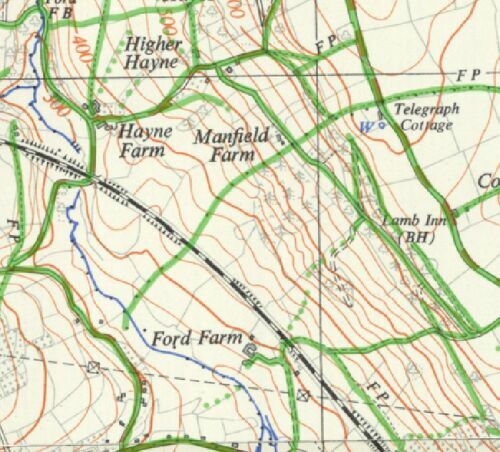 Where you get a meeting of several routes at a junction on a flat hill top such as in East Devon shown in the picture here you get some quite complicated triangular patterns where the routes branch off to go to all the others. These patterns are then revealed at times in the field systems that follow later on or are obliterated by them leaving only small fragments. Some lanes head off from the junctions along another ridge route while others go down into a valley but each lane arriving on the hill top seems to have branches that fan out to all the other junctions. 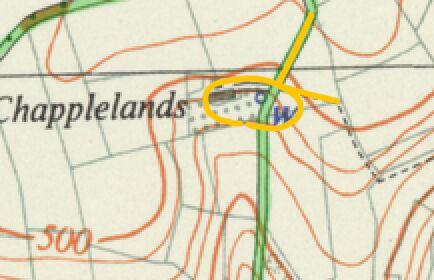 Just a few obvious ones are marked on this example but you can see other hints in the field lines. Again a good example here used from East Devon just north of Wilmington where you have a whole series of routes approaching the hill from the side slope. As they go up and up the hill gets steeper and the pattern then changes into a series of zig-zags and "Y" shapes in order to make the way up easier. Note also the feature that at intervals up the hillside you also get routes that run along the hill at one level or several of them which sometimes connect. 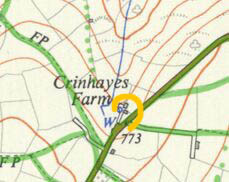 For this example I have shown a whole series of places from South and East Devon locations to make a point. 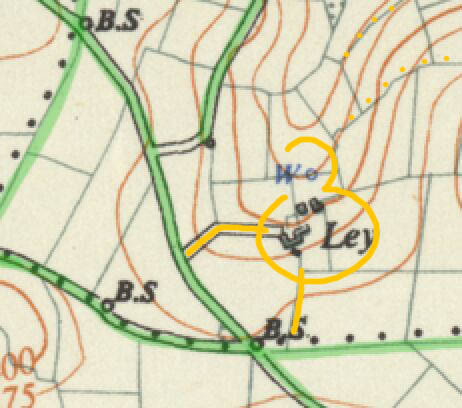 This is a pattern that is quite noticable when studying lots of maps where you often find at the top of a small valley a spring with a farm and a well marked. 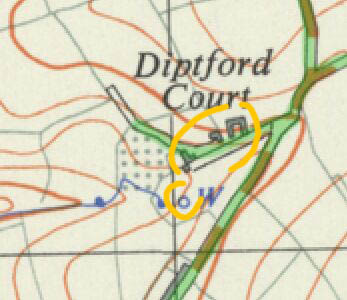 The locations are often having Saxon sounding names and are usually surrounded by a typical pattern of lanes that lead to them. Where a ridge top route is involved you often get several lanes that run down from the main route to the farm. One lane will run through it while others will then follow the stream down the valley and routes on either side will follow the curve of the hill leading around to another valley. I would imagine that this example clearly demonstrates that people settled often at the head of a valley with the farm just tucked into the valley for shelter. The natural spring gave water and frequent wells are indicated here. 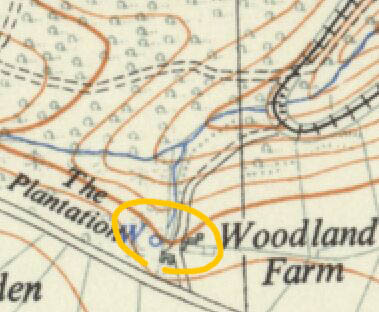 In many examples of valley heads where a dwelling is no longer marked on the modern map you can still see a well marked and the same layout of fields that define the lanes that all seem to follow the same patterns. I think perhaps this is a typical Saxon dwelling pattern or perhaps medieval farms given Saxon sounding names? The examples shown here indicate where a route coming to meet another divides into two. 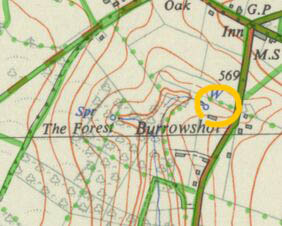 These are common on old maps and are a good clue to the location of suspected old tracks. Sometimes just one of the branches remains and sometimes none. They are effectively a short-cut made easier on a junction. During early 2017 I began to realize that some of the patterns in the landscape that had previously seemed to make some sort of sense but also did not, finally made complete sense to me. It was like I was seeing through the lines on the maps that were familiar to me but seeing some other patterns below them. Originally I had this idea that much of the field systems for a lot of land had been created in the 18th and 19th century but now I was realizing that even those were revealing much older patterns - I will explain below. The "flow" of field systems that survive seem to give away hints of the earlier landscape and when you can spot these lines a lot of things begin to make sense. Often fragmented parish boundaries fall on these lines and those all fall into place when you can see this pattern. 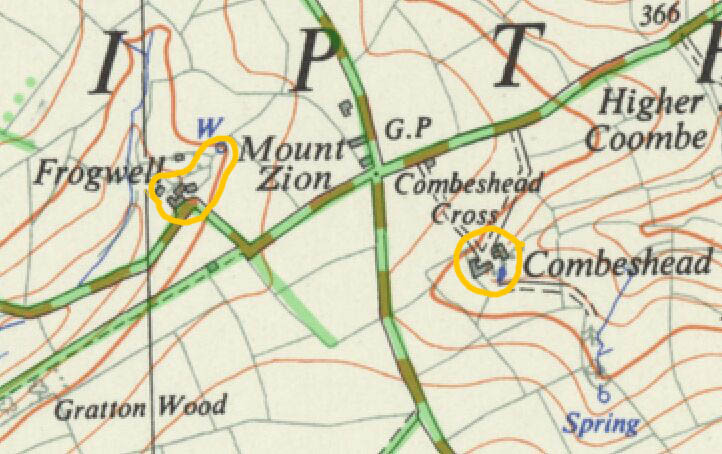 The two maps of Slapton in South East Devon below show what I mean. Originally I thought all the longer lines that radiate out from Slapton were much more modern field systems but now I think they might actally be much older after all. You get lines that cross valleys and others that flow with the topgraphy which link the main ridges by going down into valleys then passing over intermediate hills. When travelling across from ridge to ridge using valley routes by car you really connect with just how ancient these routes are! This flowing system of lines reminded me of the Dartmoor reeve systems which were studied in recent decades by archaeologists. I remember reading that it was thought these later Bronze-Age reeves (boundaries and other divisions) would likely have continued down from the moor into the lower lands but that they were likely to have been obliterated by later field systems. However I am beginning to think perhaps they are more visible than I first thought. Another thought was that they might have been reflecting Norman period field systems but since Parish boundaries were set up in the 11th century they would predate the Normans. So I decided to do a complete overview of Devon again in the light of this discovery and present my findings in the maps on the link here below. In many cases the lines follow the same ones that I previously worked out from the natural typology but on more level land I decided to let the lines on the map of the field systems guide me instead. This study revealed some impressive discoveries and made a lot of sense regarding the placement of towns and settlements in a much older landscape. This is a study that was ongoing through 2017. During 2018 I decided to do an individual study for the City of Exeter. Here are the results below. Underlying the modern city buildings are revealed patterns in the older landscape which help to show how people got around before the modern structures obliterated them. Some still remain important today. A larger version is avilable if you want a copy - let me know. 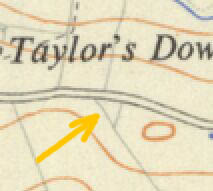 During my project studying the 1:25,000 O/S Historical Series maps I came upon quite a lot of place names that repeat and so I have made a list of these here. 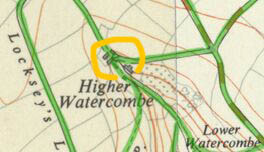 I was already aware that other people have done studies on common Devon place names and while a lot of them have ancient meanings it is such that some place names might derive from another meaning due to time periods in history and what society named them, and so they can not all be assumed to refer to the same meaning. Another thing to keep in mind is that in the past there were local variations in language, so the original sounding name is likely to have become something else over time, or several place names might all sound similar but have differing spelling. The list I have done here shows the most common names I have come across and these are sometimes weaved within a longer name, for example the name TON might be part of a town name such as Paignton, or Lifton. I have therefore marked dots in front or behind the name to assist. Have I missed any? I am sure I will have! 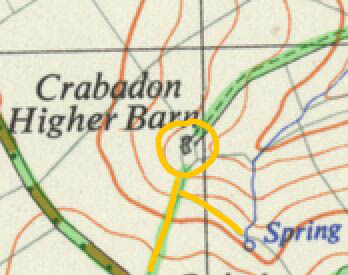 BRENDON Place names common more often in North West Devon. 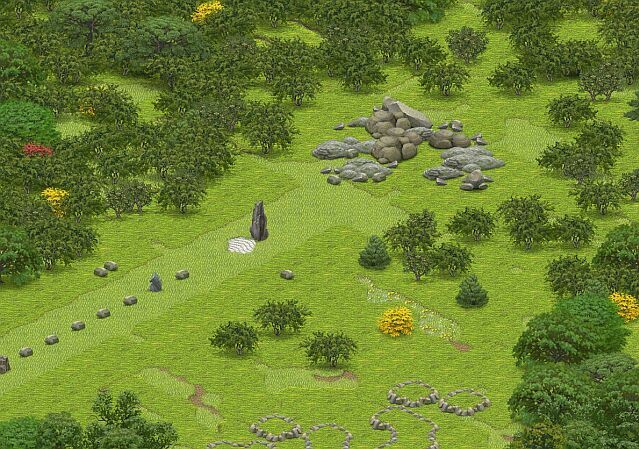 SHILL or Shoal or Shell... Overhanging rock or rocks formed over a grave. ...WICK Wik/Vic in Norse means harbour, also cognate in Saxon meaning estuary. Perhaps also Roman settlement.